Snooker chief Barry Hearn says any "sickness" in snooker will be removed "in a brutal manner" if the allegations against John Higgins are proved. Higgins and his manager Pat Mooney were the victims of a News of the World sting in which the player allegedly agreed to take a £261,000 bribe. 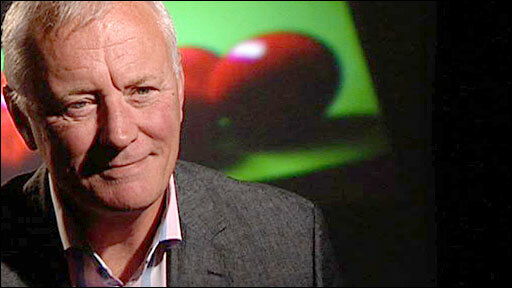 Hearn said: "If there is a sickness in snooker, it will be the death knell of snooker if it is not removed. "If John is proven guilty the penalties will be very harsh indeed." Higgins was suspended pending an investigation on Sunday. The world number one released a statement the same day in which he acknowledged that his reputation was at stake, but insisted his conscience was "100% clear". He added: "Others have now damaged that reputation and it is now left to me to clear my name. I have never been involved in any form of snooker match-fixing." The evidence against Higgins centres on an alleged verbal agreement by the 34-year-old Scot that he would be prepared to lose specific frames in various future tournaments for money. "When it was suggested that I throw frames in return for large sums of money, I was really spooked, I just wanted to get out of the hotel and on to the plane home," added Higgins in his statement. However, Hearn told an open media session in Sheffield on Monday that Higgins should have got in touch from the moment he was aware of any trouble. "One of the reasons I was so upset with the video evidence etc was I didn't get a phone call," Hearn said. "If someone approaches, and I can't stop people outside approaching players, what I can say is it's their responsibility to report that instance immediately so the authorities are aware and can act on them." Hearn has pledged to look into all the allegations, which appeared in the News of the World, "in the fastest possible timetable". Former Metropolitan Police detective chief superintendent David Douglas has been asked to examine the evidence. Hearn said: "Obviously the guy [Higgins] is in bits. And I can sympathise, empathise, with him because it [snooker] has been his whole life. "We had a very frank conversation because I was in a position to say 'look, I'm not judge and jury here, my job is to refer it to the appropriate authorities'. "But as a friend, which I would classify myself to John Higgins because I've known him for 20 years, I told him 'it doesn't look good, John'. "We all watched the video, we've all seen it. Now, whatever reason there may be behind the scenes - and John has subsequently come out with a statement - I can only judge on the visual evidence that is in front of me. "I just stressed to John that this is something that is not going away but it will be treated as a very, very serious offence, potentially, and if he is found guilty will carry the most severe of penalties. "And obviously that's very upsetting for him, which I can understand because it's his life, his living. "I believe he's a proud man, I actually believe he's an honest man but I can't ignore the evidence in front of me and the damage potentially it could do to the game." When something like this challenges the very fabric of what you believe in you look at yourself in the mirror and ask yourself 'is this what I want? The media session with Hearn happened two hours before the final of the World Championship between Neil Robertson and Graeme Dott was due to resume. 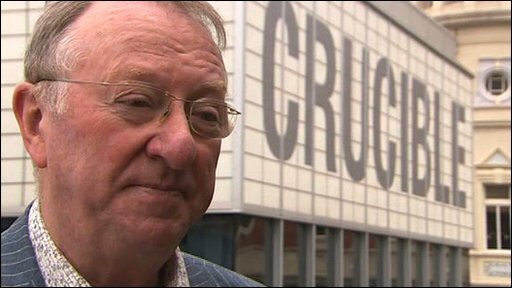 The mastermind behind darts' commercial rebirth, Hearn has been involved as a both a promoter and player manager in snooker since the 1970s, with Steve Davis one of his first high-profile clients. Last December, he became the new chairman of the World Professional Billiards and Snooker Association. Hearn admitted he had questioned whether he wished to continue in the job. "Potentially this is our worst hour," he said. "When something like this challenges the very fabric of what you believe in you look at yourself in the mirror and ask yourself 'is this what I want? "This is huge backward step for me personally. Issues that involve integrity of the sport hurt me very badly. "It's a body blow but it's not a knockout blow. If we can put our house in order we can preserve the integrity of the sport and the damage can be overcome." 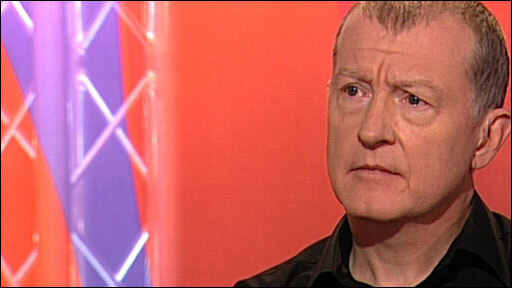 Hearn invited Mooney on to the WPBSA board in January but ordered him to resign on Sunday in wake of the allegations. The Scot was subsequently told he had no future in snooker. "As far as Pat Mooney's concerned, he will have his own defence I'm sure, but from what I've seen he is not to be any part of the process of moving World Snooker forward," said Hearn. "Suffice to say that commercially the governing body won't be doing any business with Mr Mooney in the future." On taking up his role at the WPBSA last December, Hearn promised a "fresh approach" to the sport, with Higgins one of the players voicing his approval. Higgins said at the time: "The game has been slowly dying for years but I am sure Barry is the man to breathe life back into it." The Higgins affair is the latest blow to snooker which had been looking to restore its reputation after a series of match-fixing allegations in recent years. In February 2006, Australian Quinten Hann was handed an eight-year ban from the sport after being found guilty of plotting to lose a match at the China Open in return for large amounts of money. Scottish pair Stephen Maguire and Jamie Burnett are still waiting to hear if they will face charges after the suspected fixing of their match at the UK Championship in December 2008. And in February, former world number five Stephen Lee was arrested and bailed following an investigation into suspicious betting patterns. Hearn now concedes that there may well be further revelations that could damage the sport and admits it is only the players who can repair snooker's reputation. "We're not idiots. We know we have a police investigation by Strathclyde [Police] into two players [Maguire and Burnett]," said Hearn. "We know we've got another player who's also being investigated in Stephen Lee. "It's an issue we have to deal with and there may be other revelations we have to deal with in the future. "The only people that cure this are the players themselves, that stand up and be counted and say, 'I am a professional sportsman. I started playing this game because I love it'. "They have a God-given ability but with that comes a responsibility to play within the rules and maintain the credibility of the sport."